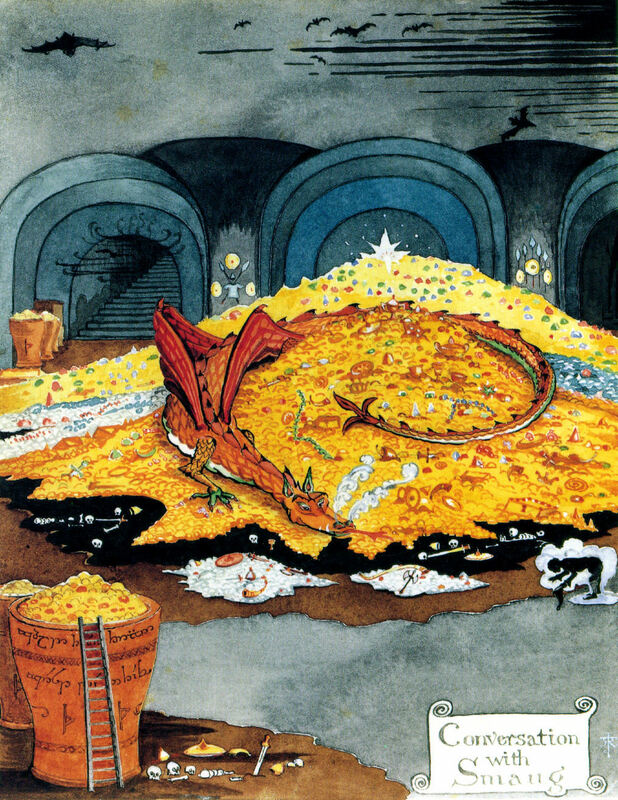 This is the first of my examinations of ‘The Monsters and the Magic’ as I consider the similarities between Anglo-Saxon philologist JRR Tolkien’s novel The Hobbit and the Anglo-Saxon epic Beowulf. My first post on the topic is here. The first monsters we encounter in The Hobbit are the trolls. * I have little to say about them in relation to Beowulf, except that some people interpret Grendel as a troll — these trolls bear their character more to Norse myths than to Anglo-Saxon epic. 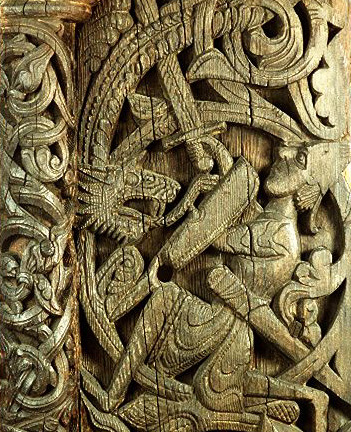 Instead of troll, Beowulf cites Grendel as a descendant of Cain; evil borne out of something originally good. Something twisted from something straight. Kevin Crossley-Holland’s translation** also calls Grendel ‘the brutish demon who lived in darkness’ (p. 76; no line nos given). Not to say Grendel is a literal demon, but the metaphor of him as a demon hearkens us back to the rebellion in Heaven and the former status of demons as angels. Again, something twisted out of something straight. I think, therefore, that Grendel and the Goblins go well together. This is not because of anything in novel The Hobbit itself, however. No, indeed, Professor Tolkien does not elaborate on the origins of goblins (aka ‘orcs’) in this, his first novel. However, in his other work, such as the never-finished-but-always-being-tweaked The Silmarillion, we learn that goblins/orcs started off as elves but were twisted from their straightness by the villainous devil-figure Melkor. Something twisted out of something straight. 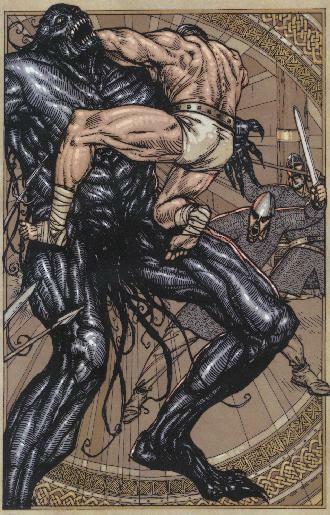 The character of Grendel is that of a destroyer. He, like the goblins, stalks by night. He, like the goblins, invades the realm of men. He, like the goblins, slaughters and slays. He, like the goblins, has a taste for man-flesh. Evil is seen in both of them as the destructive force it is; evil is not a presence but a lack. It is the deprivation of good. The good of humanity in Cain was twisted in him and his descendants, becoming the man-eater Grendel. The good of elvishness in their ancestors was so twisted in them that the goblins, too, became man-eaters. Goblins and Grendel together are ravagers and violent destroyers. Philosophically, the world of early mediaeval men has penetrated Tolkien and left a deep mark on the works of this Catholic scholar, even if there is not explicit God in the novels. **In the Oxford World’s Classics volume The Anglo-Saxon World: An Anthology. This entry was posted in Books, Literature, Mythology, Other Poetry, Philosophy, Science Fiction and Fantasy and tagged beowulf, goblins, grendel, the hobbit, the hobbit and beowulf, tolkien on December 2, 2012 by MJH.